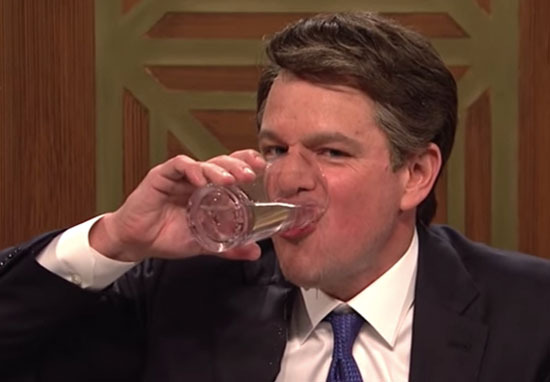 The 44th season of Saturday Night Live kicked off with Matt Damon doing an impression of Brett Kavanaugh, and everyone needs to see it. The sketch-filled show returned to television screens last night (September 29), but before host Adam Driver had even made an appearance, Damon appeared in a courtroom as controversial judge Kavanaugh. Christine Blasey Ford testified against the Supreme Court nominee on Thursday, accusing him of sexual assault. Kavanaugh angrily denied the allegations in a long opening statement, where he also admitted he ‘sometimes probably had too many beers’. I’m gonna start at 11, then I’m gonna take it to 15 real quick! He mocked Kavanaugh throughout the scene, though thankfully cut the 45-minute opening statement to a much more manageable length. This is my speech. There are others like it but this is mine. I wrote it myself last night, while screaming into an empty bag of Doritos. I am usually an optimist. I’m a keg half full kind of guy. But what I see from the monsters on this committee makes me want to puke. And not from beer. Look, I like beer, okay? I like beer. Boys like beer, girls like beer, I like beer. 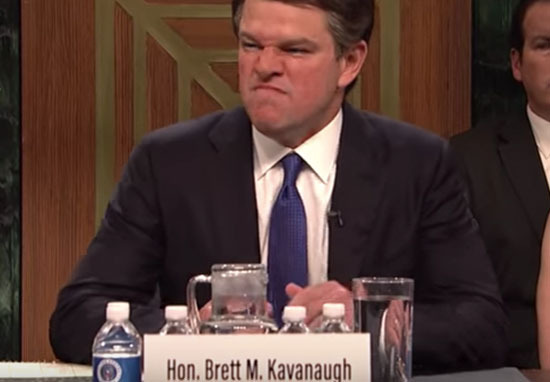 The Jason Bourne star also made sure to refer to Kavanaugh’s ‘detailed calendars recording [his] activities in the summer of 1982’, which the judge appeared to get very emotional over. Of course, this made perfect material for Damon, of which he took full advantage by holding up some examples of the ‘creepy’ calendars and pretending to tear up over them. You think I’m angry now, just wait till I’m on the Supreme Court. Then you’re gonna pay! Many Saturday Night Live viewers loved Damon’s imitation and took to social media to express their delight. 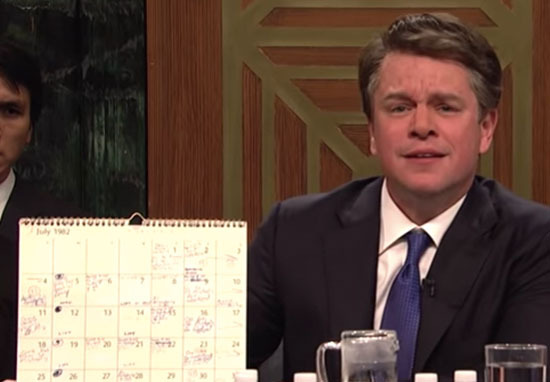 Matt Damon just crushed it on SNL. That was hilarious. This is single handedly the greatest Saturday Night Live open of the last 5 years. Matt Damon, I love you. SNL, I’ve missed you. Pretty sure that was Matt Damon’s best performance in the past five years, big or small screen. Pretty sure that was Matt Damon's best performance in the past five years, big or small screen. #SNL. I think it was certainly a successful opening to the show!